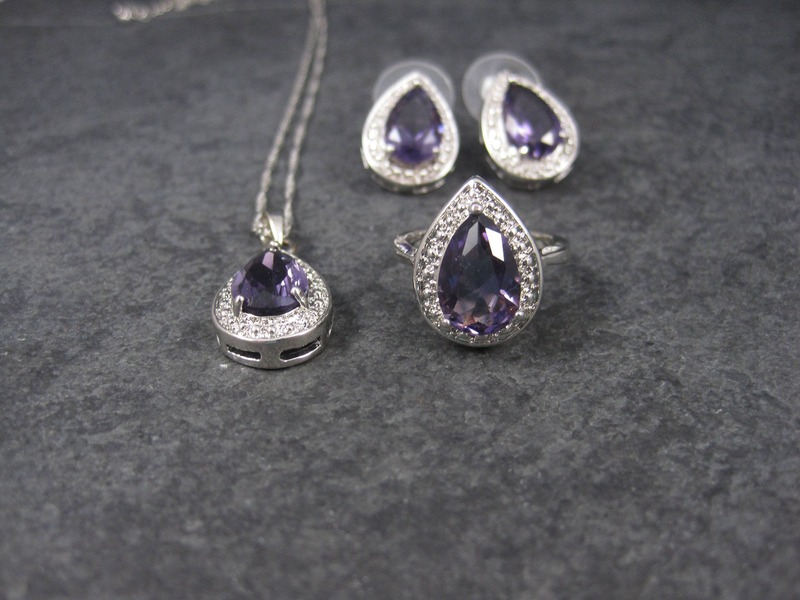 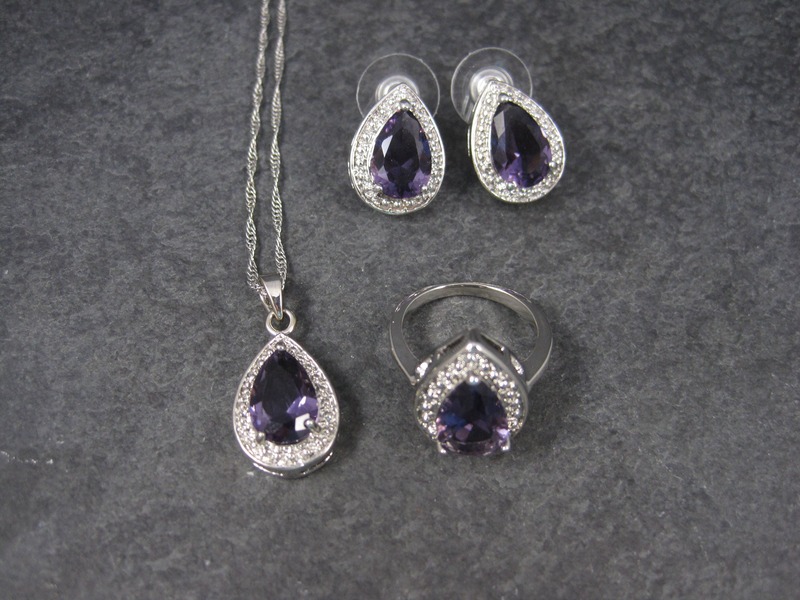 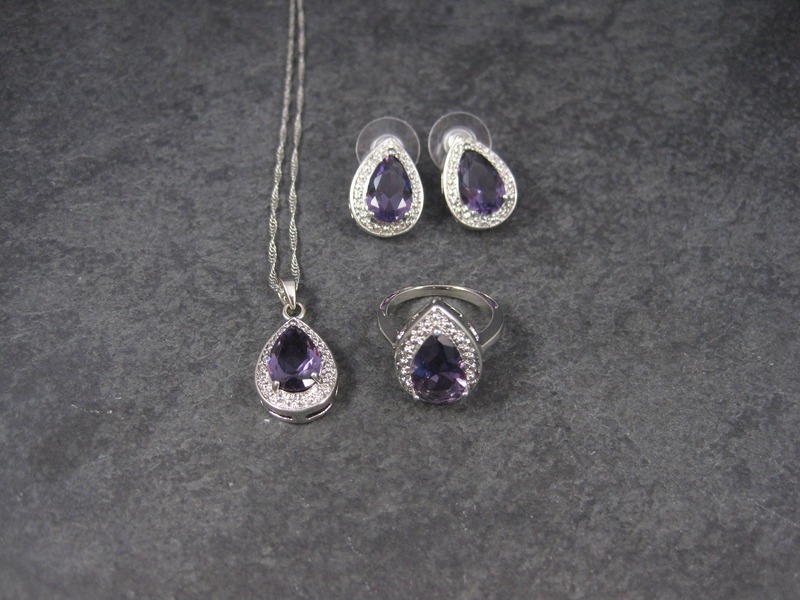 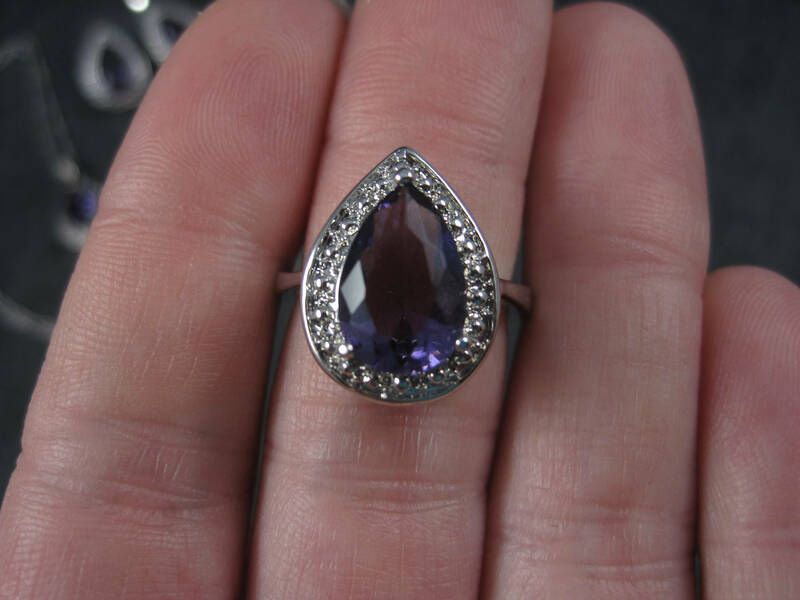 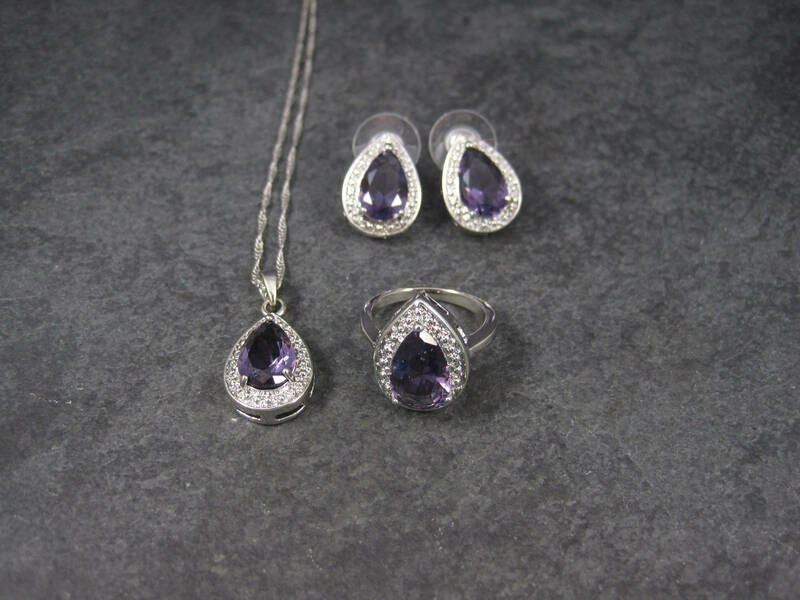 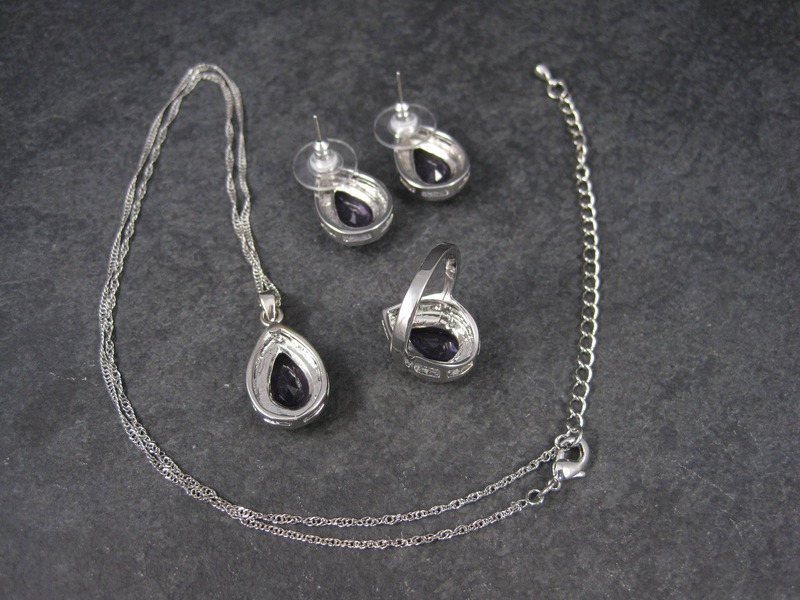 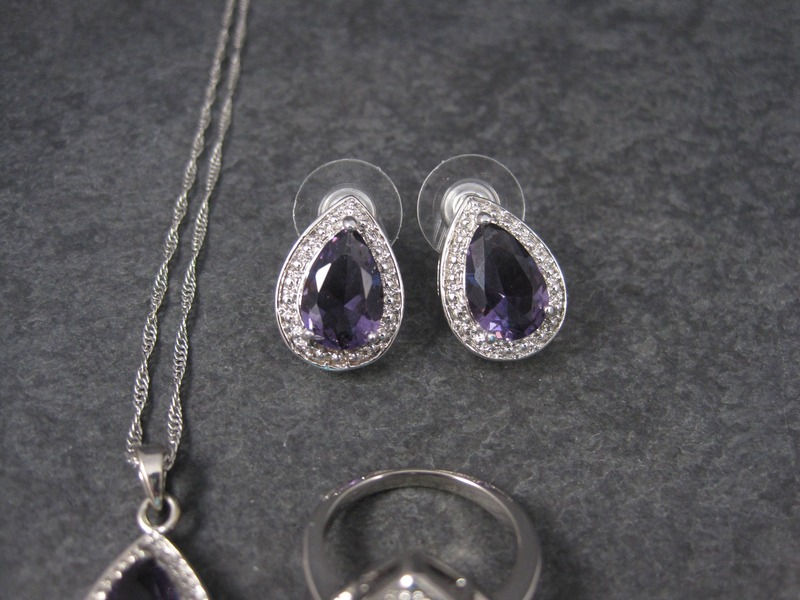 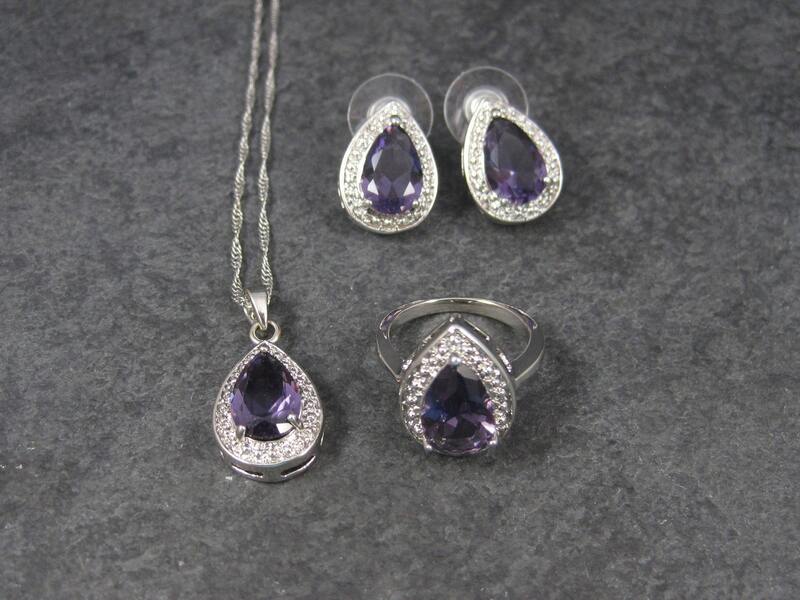 This beautiful fashion jewelry set is white gold plated with natural amethysts and cubic zirconia accents. 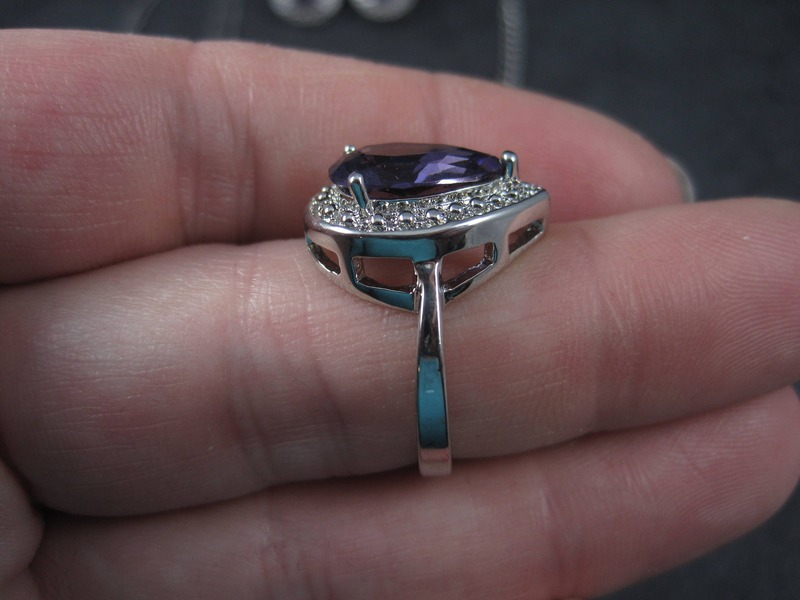 The face measures 11/16 of an inch north to south. 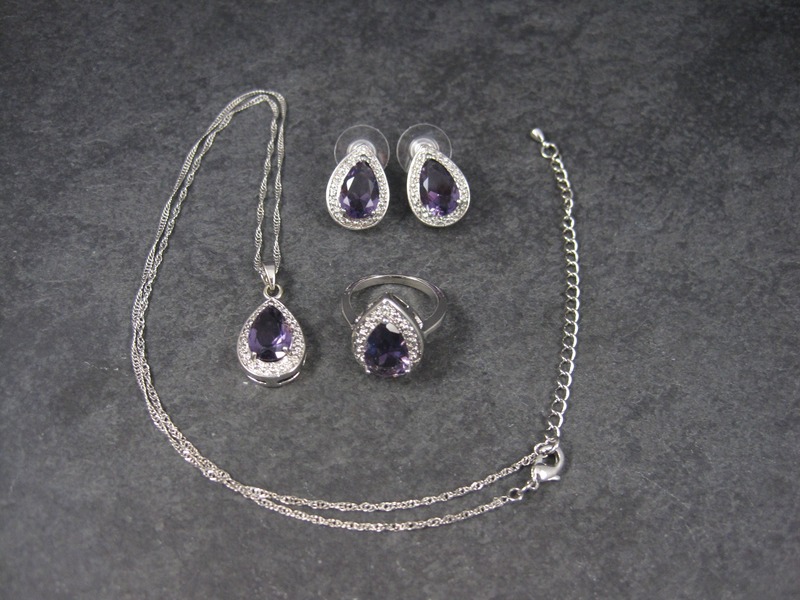 This jewelry set is old new stock from the late 80s to early 90s.